The Katha is made of polyester. The artisan has weaved Tibetan motives and text into the Katha. 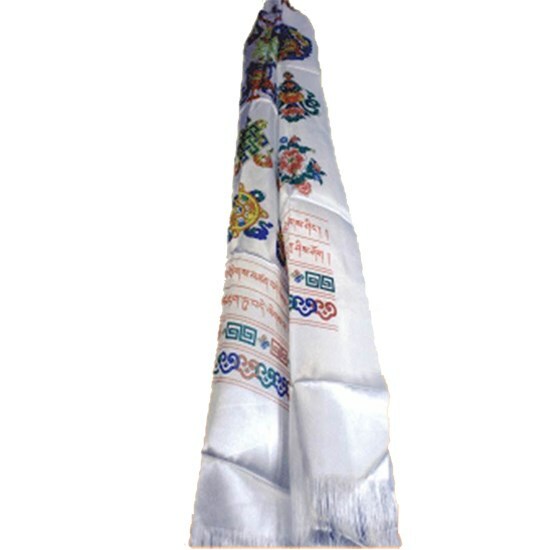 The Katha is used as a greeting scarf. You respect your guest by giving a Katha (like any gift by us Westerners). The Katha is also used as a cover for a Buddha statue or thangka's (paintings), or to decorate the altar. 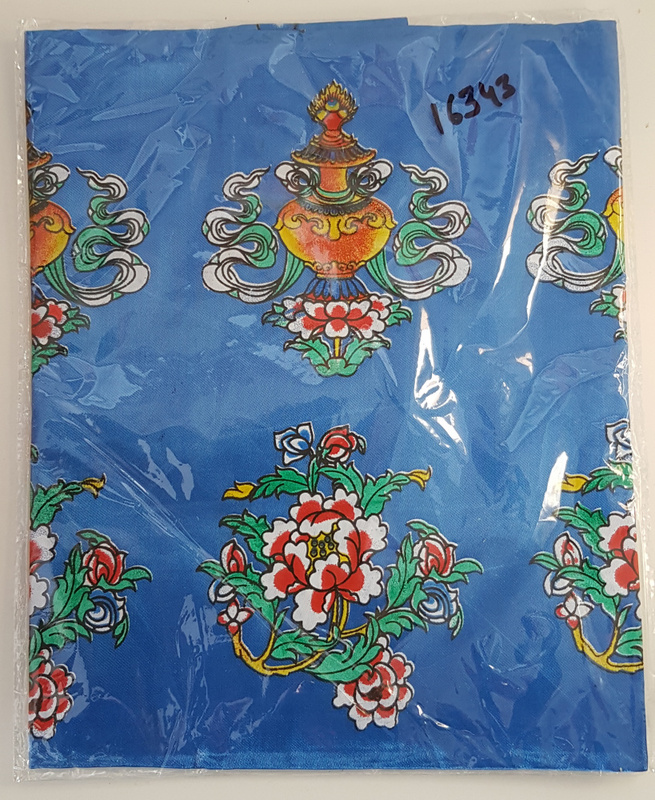 Phoenix Import- Mani Bhadra B.V. wholesale has chosen a selection of typical Tibetan textile products. For Tibetans, most of these have a special spiritual or symbolic meaning, and are used as decorations for the altar, in the “Gompa” (meditation room) or at home. Here also, most products are being sold with symbolic designs, like the double Dorje, Kala Chakra or lotuses.